Arun Jaitley is an Indian politician and lawyer, who is a Minister without Portfolio of the Government of India. He served as leader of the Bharatiya Janata Party (BJP) in the Rajya Sabha in 2009–2014. In 2014 Arun Jaitley joined the cabinet of the BJP-led government of Prime Minister Narendra Modi. He is currently serving as Finance Minister and Minister of Corporate Affairs of India. Arun Jaitley under PM Narendra Modi leadership also served as Minister of Information and Broadcasting 9 November 2014 – 5 July 2016 and Minister of Defence (13 March 2017 to 3 September 2017). 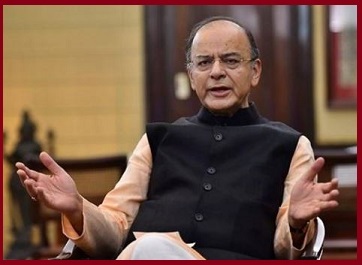 Arun Jaitley severed in several important positions such as Minister of State for Information and Broadcasting (13 October 1999 to 30 September 2000) and Minister of Law and Justice (29 July 2003 to 22 May 2004) during former PM Atal Bihari Vajpayee regime. Arun Jaitley was born on 28 December 1952 (age 66) in New Delhi, India. He did B.Com. (Hons. ), LL.B. Educated at Sri Ram College of Commerce, University of Delhi and was the Faculty of Law at the University of Delhi. Arun Jaitley is known as an eloquent speaker, and his political and professional career was largely noncontroversial.